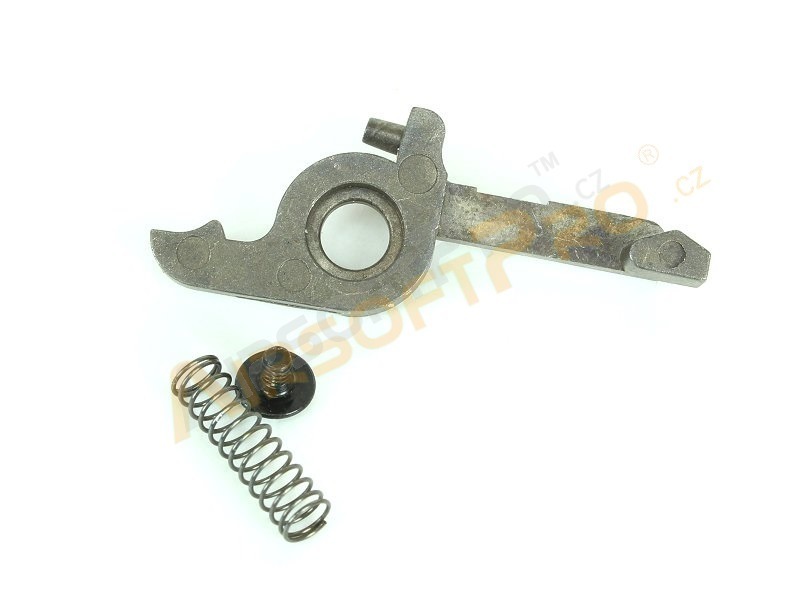 Description Steel cut off lever for Gearbox type 3. For example AK, G36, MP5K..etc. Ensures disconnection trigger contacts with a single shots. Excellent value and quality. Package includes cut off lever, spring and screw.